The London Design Festival is in full-swing this week and runs until this Sunday, giving you plenty of time over the weekend to absorb all that the talented designers and makers have to offer. Our first stop was Designjunction, which this year overtook London’s Southbank across a variety of venues to display the best in interior design. Inside the Doon Street venue, we discovered some fantastic brands. Statement pendent/chandelier style lights were seen everywhere on the ground floor, while the overarching theme on the first floor was Scandinavian furniture design with plenty of natural wooden and elegant slim frames. Spotted along the Southbank were some of this year’s outdoor installations, including this large-scale head sculpture called ‘Head Above Water’ by designer Steuart Padwick. The piece aims to raise awareness for mental health campaign Tim to Change and is marked as a symbol of hope, bravery, compassion and change. Pop by in the evening and see the head change colour. Neon signs are definitely having a bit of a moment and none more so than in the Disco installation by Gufrum. This international brand has converted part of the ground floor into a sixties-style nightclub disco, complete with glitter ball and all. Upstairs much of the furniture had a distinctly scandi vibe. This impressive sculpted chair called ‘chips’ by TON really stood out as a mixture of retro elements brought up to date in a modern style. Vitra launched their new bathroom range Plural at the show. This range is designed as a ‘Living Bathroom’ idea with units of various heights and set at different angles to encourage the bathroom to become a space for engagement and reconnecting in your spare time. They also had some very sweet miniature bathrooms on display that are too cute to pass up. Over at OXO Tower Wharf, the lighting floor truly captivated us, with BEEM taking centre stage on the top floor. BEEM are reinventing the lightbulb with the latest LED technology. The latest collaboration with designer Samuel Wilkinson sees fabulous swirling lightbulb structures appear to float in mid-air. You must pass under the archways created by suspended bulbs on arching frames – it’s a wonderful site to behold. If you have time, pop across the corridor and see the miniature colourful versions of Steuart Padwick’s outdoor ‘Head Above Water’ exhibit, crafted by 3dpeople.uk who produced 100 models of the sculpture to distribute in order to raise awareness of mental health issues. We then hot-footed it to the West of town to visit London’s newest design district and the 100% Design show at Olympia. 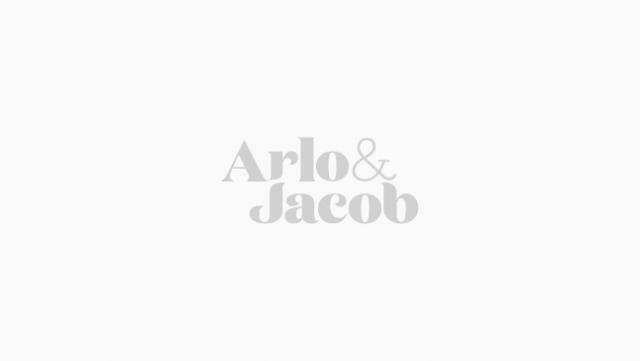 First up, we fell for chairs by our good friend Chris Eckersley, who has designed for us at Arlo & Jacob. Chris was displaying three variations of a ‘chair in a day’ from birch plywood with ash dowels; the chairs are designed to be made by workshops with limited resources. There is some stunning lighting on display this year and it seems to be a key trend to go for large sculptural pieces that cast dramatic shadows on your living space. This was true none more so than for LAMP angles by Alex Groot Jebbink which is described as a lamp you can get lost in, similar to Escher’s ‘house of stairs’. Colour was certainly the name of the game with these three striking chairs by designer Antonyo Marest. This iconic Egg chair shape by Arne Jacobsen also appears to be making a comeback – look out for it over the next year. Most of us feel good after our morning coffee, but imagine how good you’d feel after purchasing one from Velopresso. This is a design concept as part of the 100% Futures exhibit. The Velopresso is a pedal-powered coffee trike that runs without the need of any electricity for an extremely low-carbon footprint. If you’re looking for something to do this weekend, we highly recommend visiting any one of the shows as it’s fun, entertaining and informative for families of all ages.